What do pigs, chickens, goats, and cows have to do with Christmas? In most developing parts of the world, owning livestock means everything . . . from having a dependable source of food to operating a sustainable business. Each animal offers the chance for stability and serves as a foothold out of poverty. To receive an animal is to receive a life-changing gift . . . and Christmas is the perfect time to take a look at how our gifts can truly make a difference. Meet Mama Dora, an elderly widow living in Northern Uganda. 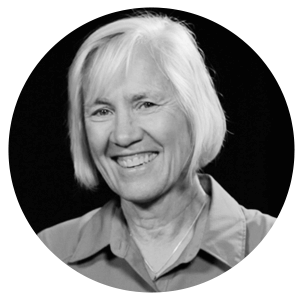 Although she worked extremely hard to provide for her four grandchildren, she struggled to meet their basic needs, keeping herself and her family in the grip of poverty for many years. 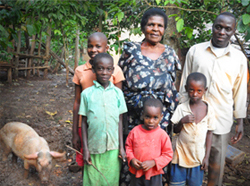 However, Mama Dora’s burden came face to face with hope when she received three piglets through Gifts of Hope last year. Today, this remarkable woman is thriving through her “piggery” business, where she breeds and sells piglets to provide income to sustain her family. Her smile is wide, birthed from a newfound dignity—all because a few people decided to do Christmas a little differently last year. Now Mama Dora carries a happy burden . . . she is quickly running out of room for all the new piglets! We are gladly assisting her in growing her business so other families can benefit from the same sustainable program. Giving a pig is synonymous with giving potential. Pigs can produce three to four litters a year, with each litter producing up to ten piglets. That’s thirty to forty new piglets every year! This presents an opportunity for a family in need to experience the freedom that comes with being a part of their own solution. 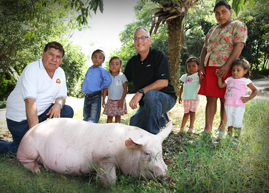 This Christmas, I’m giving each of our World Help board members a pig from our Gifts of Hope catalog. I can’t wait for more stories like Mama Dora’s to begin flooding in as people in need are met with help, hope, and the chance for a better future. Are you still looking for that perfect gift for someone on your list? Why not a pig? You could literally change a life like Mama Dora’s forever. Christmas was meant to change the world, so please join me today.